When you hear the word outsourced, your mind might instantly jump to India. You've now fallen for 1 of the 9 common myths discussed in this post. While outsourcing overseas is not a new idea, U.S. based firms are still in their infancy stage. 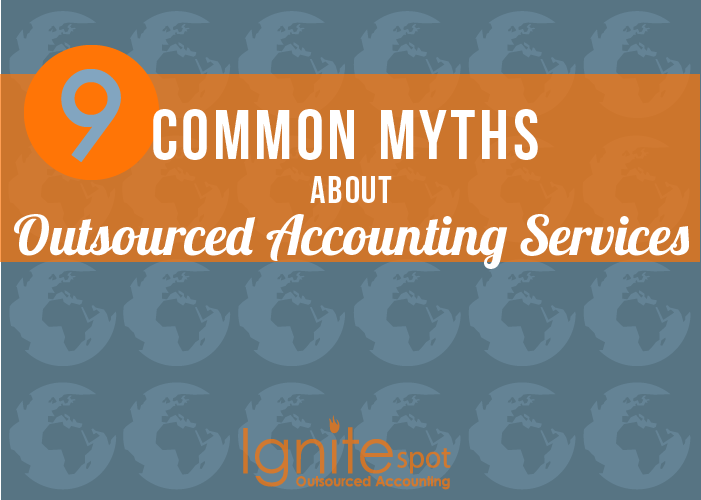 This can lead to a lot of confusion and misunderstanding about what exactly outsourced accounting services are. Due to this lack of understanding, many business owners believe some misconceptions regarding this service. We're here to debunk 9 of the most common of these myths. Loss of control over company's financials. Only large companies can afford to outsource. Outsourcing is a difficult process. Sending files takes an unecessarily long time. An in-house bookkeeper is still required. 1. Loss of control over company's financials. You're the business owner, it's understandable that you're used to being in control. Really, you should be, especially over your company's finances. Recently, the Association of Chartered Certified Accountants released a report that found business owners admitted outsourcing their accounting would cut costs. However, on the flip side, they were afraid they'd lose control over their money. Many business owners believe that by outsourcing their accounting, they're ultimately giving up the internal control they have. In contrast, by having your books in order, you will actually gain control through a better understanding of your company's financial position. This will help you make the best decisions for your business, placing you at its helm. 2. Sending information to an outsourcing company isn't secure. This is partially true, but technically speaking, nothing is 100% secure. There are definitely measures that outsourced accountants take to ensure the highest amount of security possible. Wherever you conduct business financials has a potential for security breach. This includes your business office, as well as your home office. Do the best you can on your end to keep your information secure. At Ignite Spot, we use two programs to digitally retrieve your files with their own built-in security systems to protect your data. Dropbox- uses cipher encryption for files in transit and at rest. They also perform regular control audits in order to keep your files safe. Read their full security details here. Podio- uses a system that identifies clients in order to protect their information from unauthorized use. All data transmitted into Podio is encrypted for safe storage. Read their protection information here. 3. Only large companies can afford outsourcing. This one is absolutely not true. In fact, while we can service larger organizations, our structure was designed with the small business in mind. Contrary to popular belief, outsourcing first became an option tailored to smaller businesses who had no other alternative simply because they couldn't do it all. It has only more recently become an option for larger companies interested in cutting costs. On average, our accounting services save small businesses 40%-60% compared to an in-house accountant's fees. Click here to learn more about our pricing and how we can save your small business money. 4. QuickBooks should be sufficient. 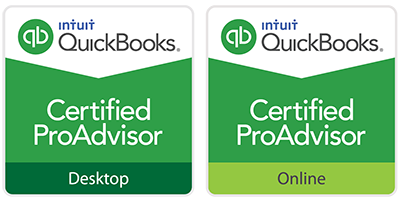 QuickBooks is a great tool; we use it heavily here at Ignite Spot. However, many entrepreneurs who decide to hire accounting help often find that they simply weren't using it to its full potential. - It takes the business owner away from the company. - Business owners are left to guess if they did things correctly. - Systems will become more complex in business, requiring more advanced QuickBooks skills (and a larger time committment) over the course of a company's life. 5. Outsourcing is a difficult process. If you've been keeping decent track of your company's records, it should be relatively easy for you to outsource your accounting functions. Generally, it only takes us two weeks to onboard a new client. To get a better understanding of how easy the onboarding process is, we've created a video detailing the transition. Check it out here. 6. Sending files takes a long time. This depends on how your company is set up. If you're a more tech-savvy entrepreneur, you can simply send your documents electronically and quickly through Dropbox, Podio, or email. You're also able to send them to us by mail, which relies on the standard mail delivery time frame. 7. Outsourcing still requires an in-house bookkeeper. Our services are designed to take the brunt of the accounting work from your business, freeing you up, as well as your staff. Out of all of our clients, only 2-3 have chosen to continue to use a bookkeeper in-house. 8. Costs can spiral out of control. Some accounting services bill hourly or by project. This makes the final pricetag unpredictable at times for the business owner. We do our best to keep your costs stable and concise. We have a month-by-month fee system and you'll be informed of your out of pocket expense before even signing up with us. This helpful post explains in detail the types of bookkeeping fees out there and what to look for. The term outsourced sometimes has a negative association in the US. Most people instantly start thinking: overseas, job loss, sweat shops, etc. But not all outsourcing services are overseas. A 1982 study found that domestic outsourcing contributed to 7% of the country's overal GDP. By 2006, that number increased to 12%. Outsourcing does not necessarily mean overseas and is becoming more popular domestically within the US. At Ignite Spot, we are proud to be a 100% United States based company that offers outsourcing services. If you still find yourself with more questions, click the box below to receive our FREE Complete Guide to Outsourced Accounting Services.